Army consists of various arms e.g. Armour, Infantry, Artillery etc. 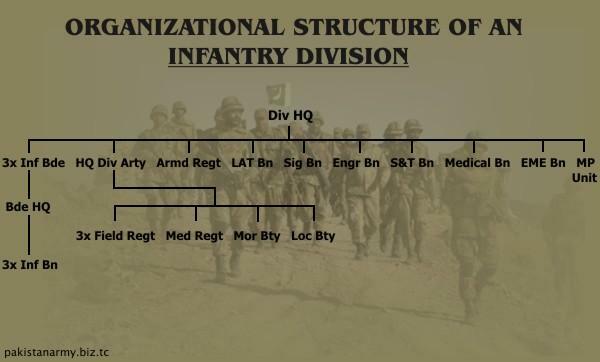 The structure of Army is organized into different units (infantry, artillery etc) and HQs (Brigade HQ, DIV HQ, Corps HQ). 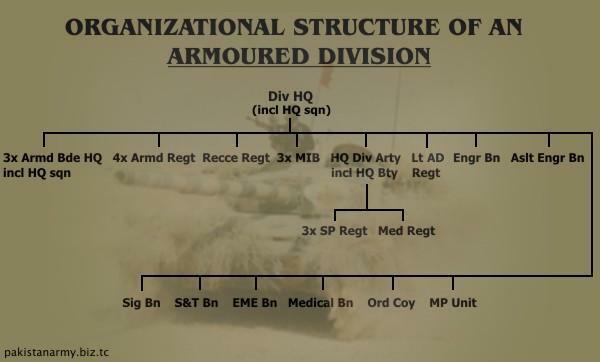 This structure of Army is composed of Divisions under command of Corps HQs, these divisions are also called formations as they are formed of almost every type of unit. Following are the different types of units and HQs in the army.